Four of our economists took a total of 11 awards across five countries in the region. 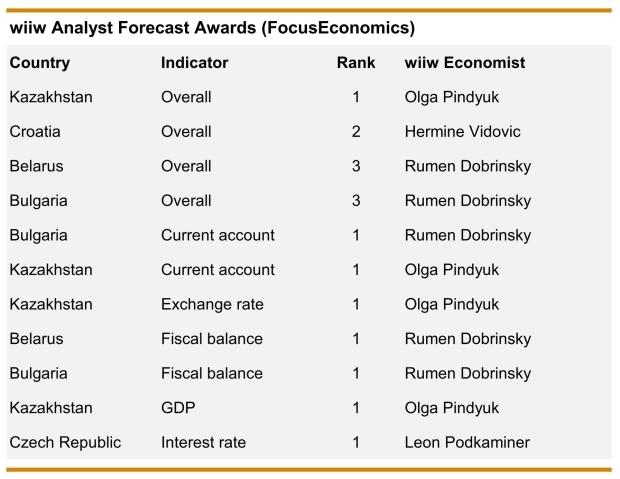 wiiw economists have been recognised with a host of awards for the accuracy of their forecasts on countries in Central, East and Southeast Europe (CESEE). 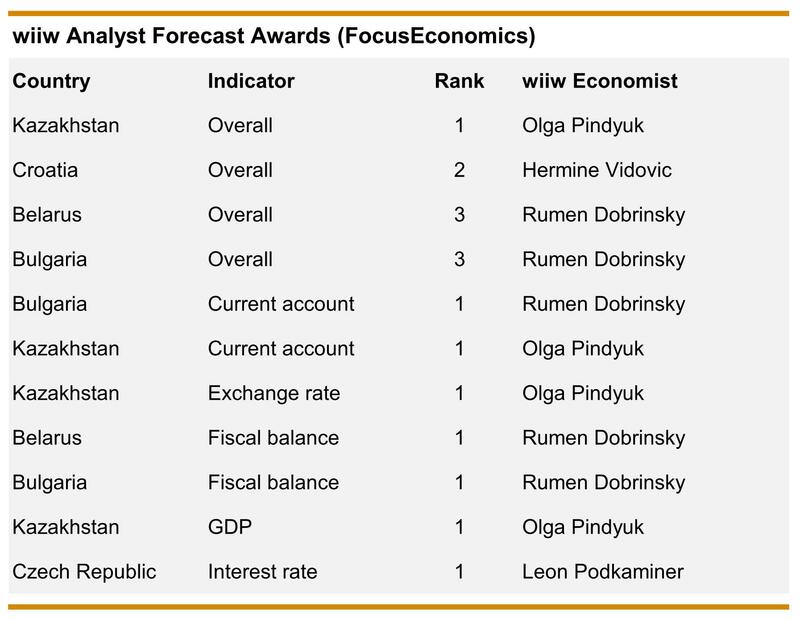 FocusEconomics announced 11 awards for wiiw across five countries in the region. 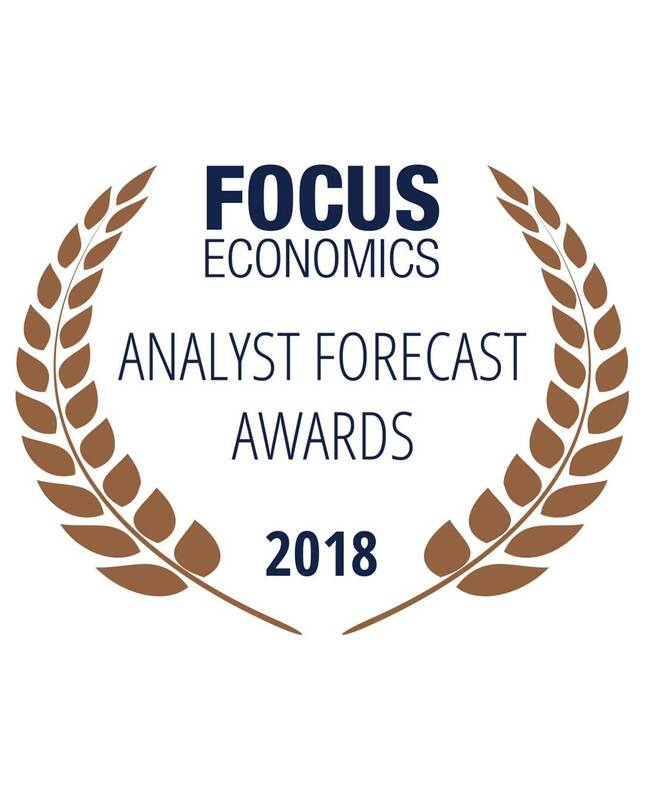 FocusEconomics collects forecasts for 30 economic indicators in 127 countries from 900 experts every month. Awards for accuracy are announced each year. Economists are ranked according to the average of their discounted forecast errors, using data collected over 24 months. For more details on the awards, click here.